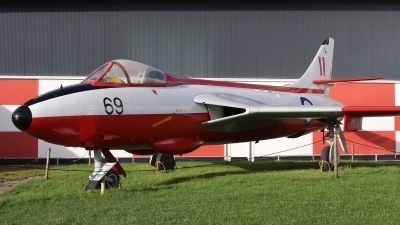 WV395 is a composite aircraft with the rear fuselage and fin from WV395. 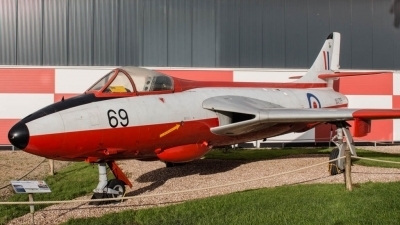 The wings are from XE584 with the forward fuselage from ex Danish Hunter F.51 E-410. 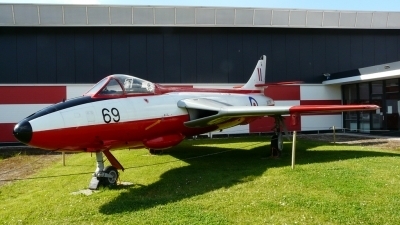 The aircraft is in the markings of Hunter F.4 WV395 '69' of 4 FTS at RAF Valley. 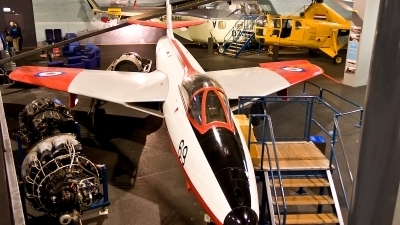 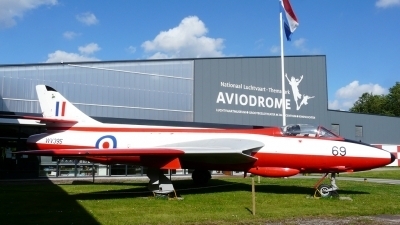 This is a hybrid aircraft, preserved at the entrance of the Aviodrome Museum. 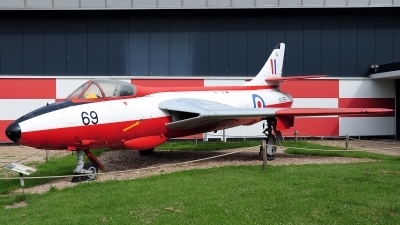 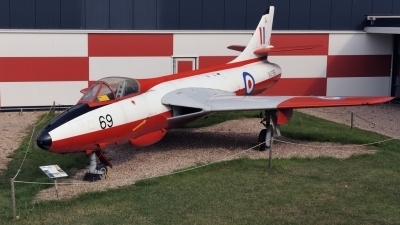 It is painted as a RAF Hawker Hunter F4, but the major parts come from a former Danish Air Force F.Mk.51 serialled 47-410 / E-410 (cn 41H680269). 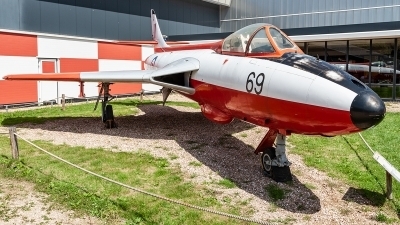 Actually, this is a hybrid aircraft, only the rear fuselage comes from WV395, the main part comes from ex Danish AF F.Mk.51 E-410. 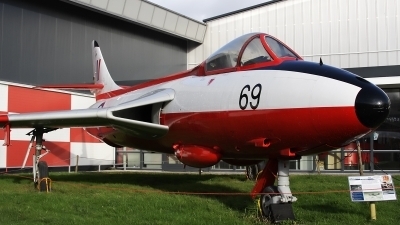 Another beautiful plane preserved at the excellent Aviodrome Museum.